Summers are upon us and the sun is at its peak with no sign of respite. Dealing with hot summer days can be quite challenging – from heat waves, perspiration and dehydration to tanned skin and what not! We are swilling down fresh nimbu pani, shikanji, rose sherbets, cold fizzy drinks, and all types of smoothies like there is no tomorrow! However, if you are a diabetic, then it is imperative for you to steer clear of all the sugary and fizzy drinks. Diabetes is one of the major lifestyle diseases that has affected millions of people around the world. It is a condition when the hormone called insulin, produced by the pancreas, is unable to break down glucose into energy, which results in the increase of blood sugar level in the body. However, it doesn’t mean that diabetics have to give up on delicious summer coolers. 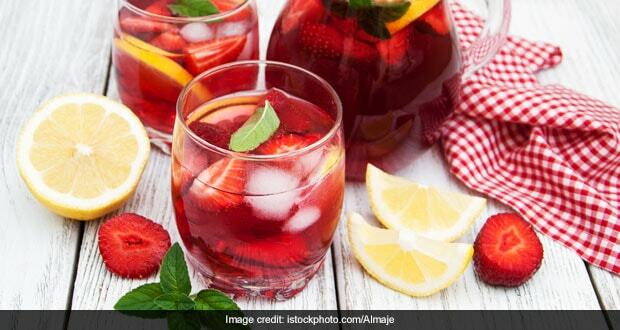 Famous food YouTuber Alpa Modi has laid down a few summer cooler recipes that are not just delicious but will also keep your blood sugar levels or diabetes in control. Try these two summer cooler recipes – Jaljeera and Smoked Chaas (Buttermilk) – and make your summers refreshing and full of flavours. And, the best part is that both these summer drinks are super easy and quick to make. Smoked chaas (also known as buttermilk) is one of the most popular and loved drinks in Indian families. Prepared using yogurt, this summer drink not only helps you beat the summer heat but also boosts your metabolism and digestion. While jaljeera consists of cumin, ginger, black pepper and mint – all of which are good for diabetics.